toxic chemicals. A 200-foot hose circulates cool air through the suit, providing insulation from heat as well as protection from the fumes. It’s made by Martindale Electric, Neasden Lane, London. And don’t they look thrilled! Pretty sure that’s Keith Moon and Pete Townshend doing a photo shoot for one of Pete’s lost rock operas in the 70s. And Mitch wins the prize for today’s best Intertubes Post. Surely that’s Ringo Starr on the right . . . .
As a gardener I’m wondering where they’re spraying those toxic chemicals. Is that a conservatory? 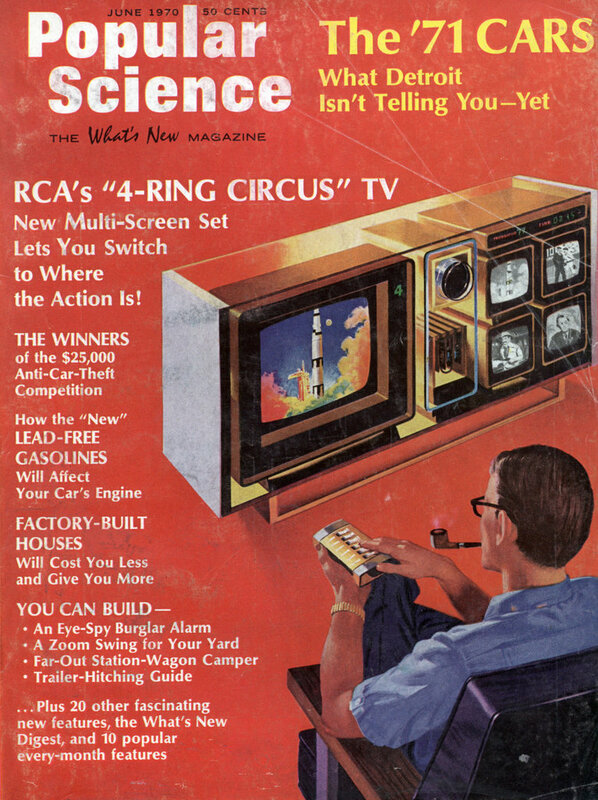 Or a research center? Mitch, I have to disagree, Keith would be naked and drinking the insecticide. Wait until Tuttle mess a bit with the hoses. 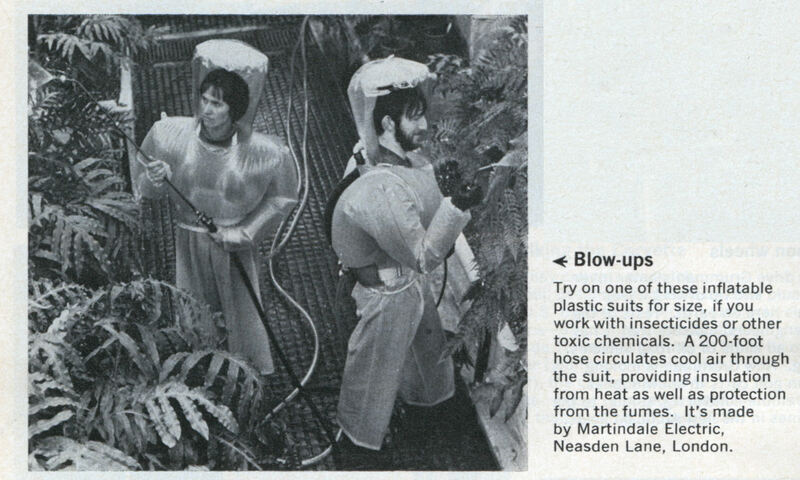 They should have used these suits in the making of the movie “Silent Running”.